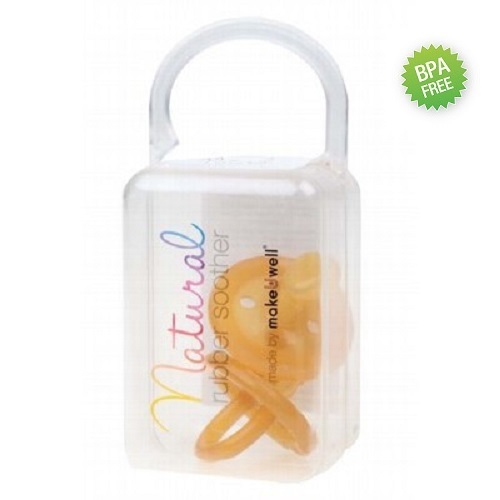 Boil Natural Rubber Soothers in water for 2 minutes (and allowed to cool) before first time use. 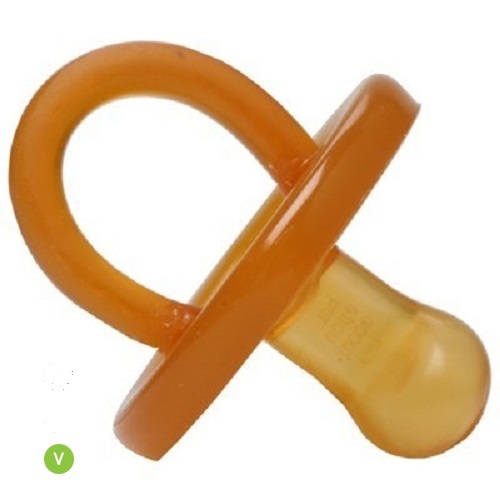 Afterwards clean on a daily basis. 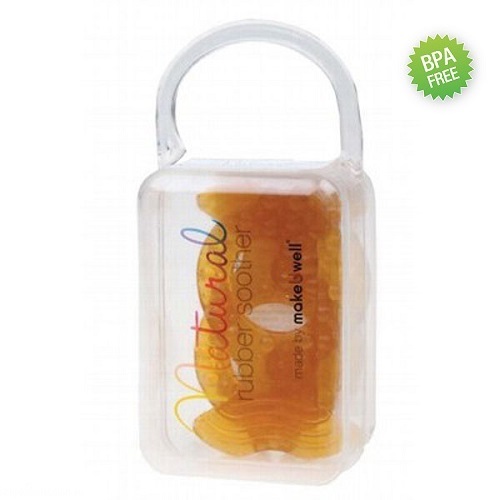 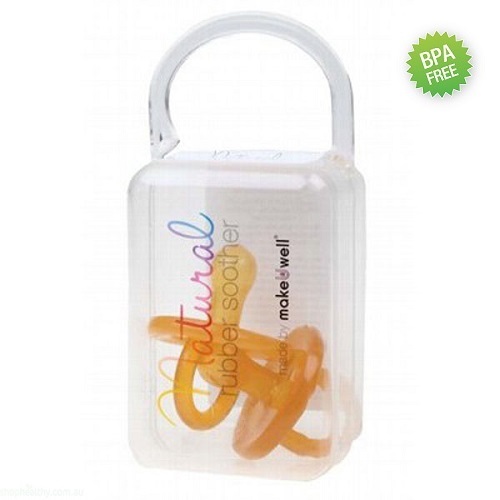 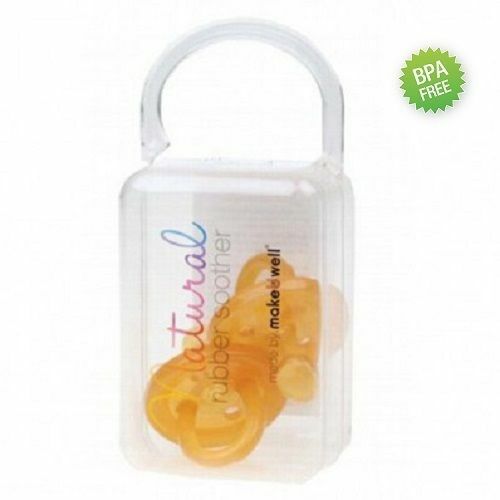 Natural Rubber Soothers will slightly change colour during use. 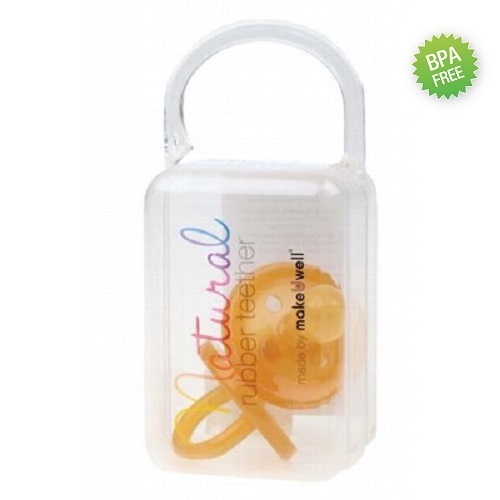 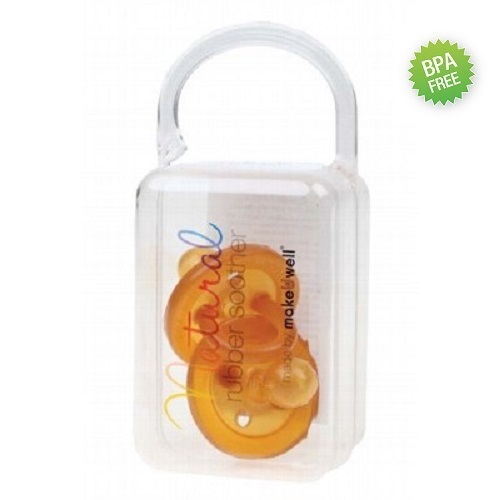 Replace Natural Rubber Soothers every 8-12 weeks (depending on frequency of use) with the age appropriate size, if you and your child still need the additional support a soother can provide.